Costa Rica Live Casino Studios - A look behind the cameras. When I attended ICE in February 2017 I met with a number of Live Casino providers. It was while talking with some of them that I came up with the idea to visit one or two of the Costa Rica live casino studios. I already knew that some live casino providers were based there, but I had no real understanding of the environment they were operating in. Costa Rica – Isn’t it Dodgy? Ever since I’ve been involved with the online gaming industry I’ve been told to watch out for casinos and operators that are based in Costa Rica because they were dodgy. 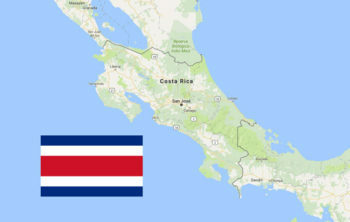 My only real knowledge of Costa Rica is stories of dodgy dealings, a place of refuge for exiled Americans, the exposure of the Absolute Poker frauds and the location of the film Runner Runner. I’d been told to steer clear of anyone operating out of there because they are self-regulated and therefore can’t be trusted. Well, that’s not been my experience though. 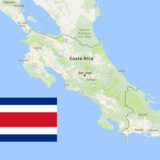 In fact, I’ve been burned by more casinos in regulated environments than I have ever been by ones based in Costa Rica.! So this was my opportunity to actually visit the place, the businesses and the live casino studios, to see what’s really going on and put some of those hearsay rumours to bed. Never have I been somewhere where my preconceived idea of a country has been so wrong. Costa Rica is a beautiful country. Lush, green Jungles, Rain & Cloud forests, Volcanic areas and the most fantastic Caribbean and Pacific coastlines and beaches you’ll find anywhere. San Jose the capital is a bustling busy place with a real mix of areas. Some of the largest corporations in the world have offices in the business areas. You could be in London or New York. Shopping is expensive. There is nothing poor about Costa Rica. The only negative I have to say is about the roads. In the city, they are not good. Pot holes everywhere. Outside of the city, they are great until they disappear completely. You’re left driving on dirt roads with pot holes 2 feet deep and rocks the size of tennis balls all over the place. Thank goodness for 4wd. Costa Rica is home to Ezugi, Visionary iGaming, Vivo and Global Gaming Labs. They all have offices and studios in San Jose. I met with them all and visited the studios of Ezugi and Visionary iGaming. I pride myself in being impartial so my trip was entirely self-funded. Without exception, I was greeted with openness and honesty. Nothing was off limits and all were happy for me to report what I’d seen and heard. While there, I discovered that I am the only Player/Affiliate to have made this journey to visit the Costa Rica Live Casino studios. These are serious businesses, not back street operators. They are well-formed businesses headed by CEO’s with Finance Directors, Fraud & Risk departments, HR, Sales & Marketing, IT support, Games Development, Studio Operations, etc. They employ 100’s staff, give them benefits and provide a level of welfare and security to their dealers that match their European counterparts. 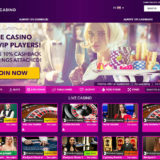 All of the professional staff have experience of working in the live casino sectors for many years, often at other well-known software providers like Evolution Gaming and the now defunct Vuetec. As I’ve found out over the years, the industry is fairly incestuous with staff moving between operators quite frequently. All of the companies are experiencing growth. Office and studio expansions seem to be common and VIG was undertaking a large recruitment campaign while I was there. 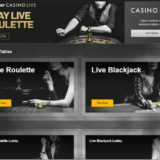 As we are seeing in Europe the demand for quality live casino solutions is increasing. The need for different playing experiences is driving some of this. The studios are located in Costa Rica, primarily for lower operating costs and access to the Latin and Asian markets. Some of the companies operate in regulated markets around the world and therefore comply with the licensing terms of those jurisdictions. The companies I met had a mixture of owners, from Canada, Britain and Israel. My meeting with Global Gaming Labs was interesting and enlightening at the same time. I met with the owner to discuss the truth behind the Betonline live dealer cheating scandal. I went away with a more thorough understanding of the challenges facing the operators and also a scoop. Global Gaming Labs decision to close down and sell their operations to Visionary iGaming. The offices and studio are in the same building. In fact, they occupy the building that was used by the marketing arm of Absolute Poker. After a long chat with the owners, I got a nice tour around the studio. I got the chance to meet some of the dealers and also to try dealing a few rounds of blackjack on one of the training tables. I wasn’t very good but went away with a new found respect for the dealers. I’ve got video footage of my fails which you’ll enjoy watching. Ezugi is based in a very modern looking office. You know the sort, glass and concrete everywhere. They are having a bit of a refurb with plans to extend the studio and add more tables. I got the chance to meet with Pamela, a dealer that I interviewed at distance last year. You can read more about what I found out when I visited Ezugi in my follow up article. Vivo has their offices in Costa Rica but has recently moved their studio, so I didn’t get a chance to see it. The guys running the place are very knowledgeable about Live Casino and the markets that they operate in. They tend to favour the Asian markets more at the moment but are looking for opportunities to bring on new clients from other areas. At the moment I’m particularly interested in compliance activities that make sure the games we play are fair. There have been some complaints recently in player forums regarding the fairness of some games. So I was keen to understand a bit more about how games are controlled and the processes for monitoring play. From what I witnessed and was shown I have to say that all the operators treat these areas very seriously. The online operator behaves no differently from a land based one when managing risk. They are on the lookout for unusual betting patterns and card counting. To cheat players at the table would require staff from all areas of the company to overcome the controls that would then allow someone to deviate from normal operating practices. Something that I don’t believe is happening with the companies I visited. The games provider is a business to business operation, so they provide to the Casino with data from the risk and compliance processes. It’s up to the individual Casino to decide how to act on that information. The operator has no direct contact with the player other than the pit bosses who may enter chat to resolve an on table issue. The provider does have responsibilities to manage the challenge of player/dealer collusion. The companies have very strict rules about the information that dealers can reveal about themselves. Chat is monitored and meeting players socially is against the rules and will mean instant dismissal if discovered. The equipment used varies between operators but is broadly the same. Each has their own preference for suppliers and the technology they use at the tables. 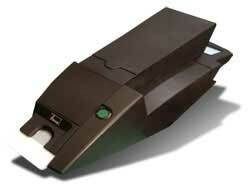 For example, VIG uses fingerprint recognition at the tables to log a dealer into the system. Others use a more traditional username and password. I saw two different types of roulette wheels being used. There are the standard wheels and ones with variable & random rotational speeds used to help thwart dealer/player collusion. There’s nothing unusual about these, as they are used extensively in land based casinos. Experienced dealers can spin the wheel and ball with such precision that they can land the ball in the same segment of the wheel every time. Obviously, from a casino perspective, this is not good news and is something that could be exploited by a player. All roulette wheels are levelled and balanced on a regular basis, either by the manufacturer’s inbuilt functions or manually by the operator. The aim is to ensure that the results from the wheel are truly random and not favouring any particular sector or number. In fact, one of the operators insists their dealers inform them if they keep hitting the same sector or the same number. 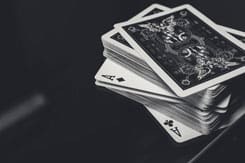 In land based casinos card packs are replaced every 24 hours, but as the cards are not being touched by players the online casinos can extend that period up to 48 hours. Still, it’s a lot of cards that need to be destroyed every day. I saw boxes & boxes of new ones in a secure store at one of the operators. There is no specific requirement for what type of dealing shoe is used. Clear Perspex ones are popular. The Shuffle Master shoe is also popular as it contains all the tech needed to read the card as it’s being dealt. This means there’s no technology on the table which simplifies the implementation. The downside is that cards cannot be rescanned and manual intervention is needed from the pit boss if a mistake occurs. 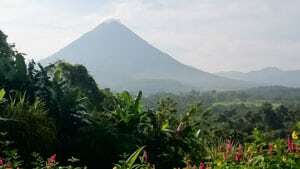 Costa Rica may be a long way from the UK, but it has plenty to offer tourists and businesses. It’s not a poor country by any means. The people and businesses are proud and as passionate about what they do as anywhere else. The businesses and people I met are all professional. The products are of a high standard and equal to the ones I’ve seen in Malta and the UK. I had no sense that any of the business operations were dodgy. While you can never say that someone won’t cheat, I saw enough to convince me that the games are well controlled and monitored. Cheating is unlikely to be endemic, it’s more likely to be an individual trying it on for some personal gain. 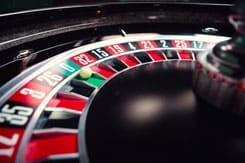 The Live casinos arguably have better controls in place land-based casinos, because data is kept on everything going on at the tables as cards are scanned and roulette results are recorded. This allows real time analysis of games to be performed by a computer, rather than by a pit boss and the people behind the CCTV cameras. Global Gaming Labs closing was a shock. But Visionary iGaming are well placed to take on the client list and look after the casinos taking their services. You can try out the games from the supplier’s I visited at the following casinos. 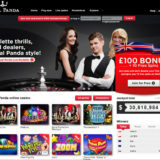 Visionary iGaming – Fairway or Celtic Casino.